Let us provide it for you. There’s a reason Ultherapy® is the premier ultrasound lifting treatment around the globe. We are dedicated to providing you – and patients around the globe – with the safest, most effective Ultherapy® treatment possible, using the one-and-only Ulthera® System. To ensure the safety and efficacy of the authentic Ultherapy® treatment, we have invested in rigorous clinical research that has culminated in U.S. FDA-clearance and the EU CE Mark for Ultherapy. So, before seeking treatment to enhance your appearance, first do your research! Look for a treatment that’s FDA-cleared and CE-marked with clinical data to back up the product’s claims. If opting for a non-invasive ultrasound lift, make sure you’re getting an authentic Ultherapy treatment – the only nonsurgical procedure U.S. FDA-cleared to lift your neck, chin and brow, and improve fine lines and wrinkles on the décolleté. The success and popularity of Ultherapy have resulted in several knockoff treatments that are putting unsuspecting patients at risk with their unverified promises. These counterfeits use untested, potentially unsafe devices that could do more harm than good. With many counterfeit treatments, energy is delivered at inconsistent levels and depths, putting patients like you at risk. 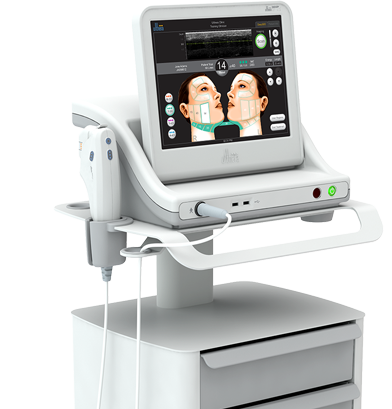 Ultrasound energy delivered too intensely and too close to the surface of the skin can results in burns to the treated area. Conversely, energy delivered sporadically or at too low a level (or not at all) provides you with a less-than-desirable outcome – or no result at all! In contrast, Ultherapy delivers just the precise amount of energy at exactly the right depth for a safe and effective result. The treatment’s demonstrated safety and efficacy has made Ultherapy the number one lifting treatment globally, with over 1 million treatments performed to date. When choosing Ultherapy as part of your aesthetic plan, make sure to verify that you will be receiving your treatment via a real FDA-cleared, CE-marked Ulthera® System with a provider who has been trained and certified. 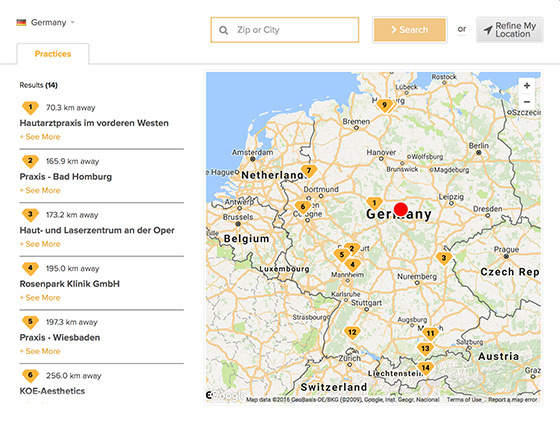 To find an experienced, authorized Ultherapy provider in your area, visit our global Physician Locator. You can be confident in knowing these practitioners receive technical training and support from Merz, or one of our authorized distributors. Is your ultrasound device U.S. FDA-cleared? Does it have a CE Mark? For the Ulthera® System, the answer is yes to both questions. In fact, it is the only device that delivers the authentic Ultherapy treatment – the only U.S. FDA-cleared nonsurgical treatment that lifts the neck, chin, and brow, and improves fine lines and wrinkles on the décolleté. What should I look for to confirm a real Ulthera® System? 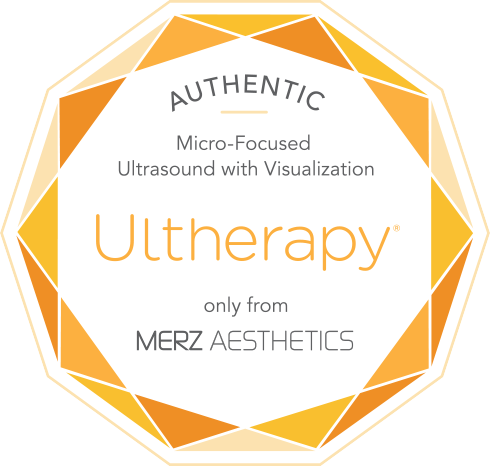 The Ulthera® System uses real-time visualization to determine that the appropriate area is being treated. This means that as the Transducer (the component the practitioner will use on your skin) moves, the ultrasound image on the screen will move. Some counterfeit products have a static image or an ultrasound video loop, so beware of this trick. There are also slight differences in the look of a real Ulthera® System versus a counterfeit device. 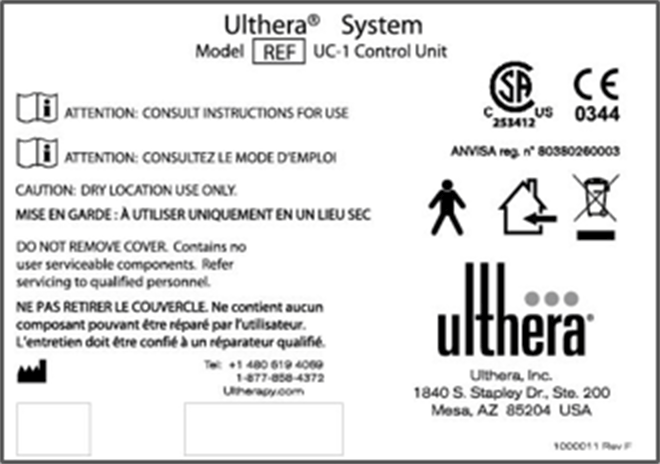 Pay special attention to the appearance of the Ulthera® logo and other identifying marks that could appear slightly altered on a fake device. Counterfeiters are sneaky, and they’re only out to make money. The absolute best way to ensure that you are going to receive your treatment from an authentic provider is to verify that they are on our list of authorized practices here.